The announcement by the Turkish Vice-Prime Minister Simsek was preceded by a series of high-level ministerial meetings in Moscow. As we reported on June 29, Presidents Erdogan and Putin spoke on a phone, thus ending seven months of tensions between Turkey and Russia. After the phone call between the two Presidents, it was announced they will meet soon. The tensions between the two nations started in November, following the downing of a Russian jet fighter by Turkey. After seven months of tensions, the President of Turkey, Recep Tayyip Erdogan, sent a letter of apology to his counterpart Putin for the downing of the Russian Su-24 jet. The President of Russian Federation responded by offering his condolences for the terrorist attack on Istanbul airport which happened on June 28. The effort to normalize ties between their countries by Presidents Erdogan and Putin was followed by the meeting of foreign ministers Cavusoglu and Lavrov in Russia. After the phone meeting with Erdogan, President Putin removed traveling restrictions for Russian tourist agencies working in Turkey; the economic sanctions were lifted gradually as well. 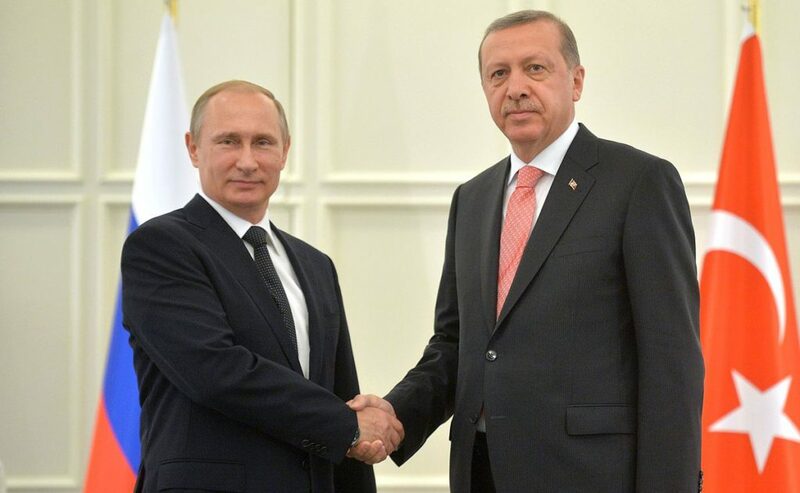 After the June 15-16 failed coup attempt in Turkey, on June 17, Putin reportedly called Erdogan in order to express his support for democracy, and to condemn the coup. Recep Tayyip Erdogan is expected to meet with Vladimir Putin on August 9 in St. Petersburg; that will be Erdogan’s first trip abroad since the military coup attempt. The Turkish efforts to normalize ties with Russia came just a few days after the normalization of ties with Israel; Turkish-Israeli relations were severely damaged by 2010 the Israeli attack on the Gaza bound ship Mari Marmara, which was a part of Gaza Freedom Flotilla.